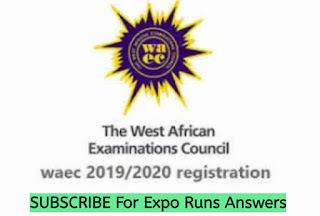 NECO Literature-In-English (prose) Obj And Essay/Theory Solution Questions and Answer – JUNE/JULY 2018 Expo Runz. NOTE: You Are To Answer Only Two(2) Questions. The cap picking ceremony organised by the community for Yaremi to pick a man of her choice ends in fiasco.Cap picking are great events in in Kufi.It was a day of great expectations for the people and their neighours in the surrounding villages of Ope,Idiogun,Olusokun,Koleeyan and Bankesa.It was a day a widow closes an old familiar chapter of her life and opens a new known chapter.The celebration takes off on a happy note: A long wooden bench was placed under the treeshade,with three traditional capsdisplayed on it.On a low stool in front of two were two calabash containers of ceremonial alligator pepper,bitter kola and table salt plus a bottle of honey and locally made gin all for propitiation to ensure the overall sucess of the day’s occassion.But true to her conviction Yaremi dissapointed the expectant crowd as she turns down the three suitors bowed to the elders and left for her house.Leaving everybody under the odan tree grazing petrified stupidity. Father Jerome is a devout, intelligent, and kind-hearted friar in one of Otranto’s two convents.He is formerly prince of Falconara, now a priest. Called to give absolution to the condemned Theodore, he discovers that Theodore is his own son, born before he entered the Church. Jerome sees through Manfred’s attempts to manipulate him and attempts to deceive Manfred to protect Isabella. When this results in Theodore’s death sentence, it sets in a motion a series of events in which Jerome sees a mark on Theodore’s shoulder, realizes that Theodore is his long lost son, and reveals his own past identity as the Count of Falconara. After Manfred kills Matilda, Jerome reveals that Theodore has a stronger claim to the throne than Frederic, because Jerome’s wife (Theodore’s mother) was Alfonso’s daughter. Throughout the story, Jerome acts as a true man of faith and goodness, working to protect others and counseling against greed and lust. Native Son opens with an important scene that gives us one of Book One’s most significant symbols: the rat. Bigger and his family are waking up together, and they suddenly spot a rat. After a few chaotic moments of chasing the rat – and the rat attempting to fight back and defend its life – Bigger ultimately kills the rat with a frying pan. We can read the rat as Bigger himself, as he is clearly trying to survive, but is seen as a nuisance. This is how Bigger perceives that white people see him and other black people: as nuisances that are best kept out of the way and might face danger if they enter the world of white people. ” ‘I could fly a plane if I had a chance,’ Bigger said. ‘If you wasn’t black and if you had some money and if they’d let you go to that aviation school, you could fly a plane,’ Gus said.” The combination of the description of the airplane and the following conversation indicates that the plane is a symbol for far-off, unreachable goals. After the airplane scene, we move quickly to the next important symbol in Book 1: the pigeon, which Bigger and Gus see as they continue to walk down the street together. We read: ”a slate-colored pigeon swooped down to the middle of the steel car tracks and began strutting to and fro with ruffled feathers, its fat neck bobbing with regal pride. A street car rumbled forward and the pigeon rose swiftly through the air on wings stretched so taut and sheer that Bigger could see the gold of the sun through their translucent tips.” the ability to fly away from the forces in his own life that he feels are trying to crush him, just as the pigeon escaped the street car. i)The sorrows of widowhood: This is the most obvious central idea of the story. Bayo Adebowale took his time to x-ray the parlous circumstances surrounding the state of widowhood. In many African societies, widows are regarded by the relatives of their dead husbands as the cause of the death of their husbands. When a man dies, his wife must have done something wrong to cause his death. 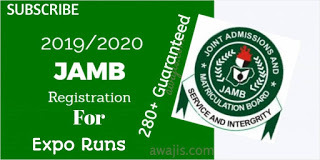 ii)Victimisation and oppression of women: In many African societies, men see themselves as superior beings who should be held in high esteem by their inferior beings―women. A man cannot die a natural death; a woman must be the cause of his death through her sins. Therefore, the woman must be made to suffer humiliation, insult and assault. iii)Rural-urban migration: This theme is exemplified in the relationship between Alani and his mother Yaremi. Alani lives and works in the city of Ibadan. He is so carried away by the city life that his own root has become foreign and strange to him. In the same vein, his lifestyle has become a dismal wonder to his people. His uncle sees him as a freak because of his appearance. iv)The negative effects of bad tradition: Bayo is very vocal in his criticism of the tradition that treats women as second class citizens. In the story, Lonely Days, the female characters we come across suffer one form of mistreatment or the other occasioned by tradition. In Kufi village, the people believe that men do not die a natural death. v)Superstition: Superstition is an irrational belief that an object, action, or circumstance not logically related to a course of events influences its outcome. It is equally a belief, practice, or rite irrationally maintained by ignorance of the laws of nature or by faith in magic or chance. It is a fact that superstitious beliefs have still remained a disease in most parts of Africa even up to this century of enlightenment. 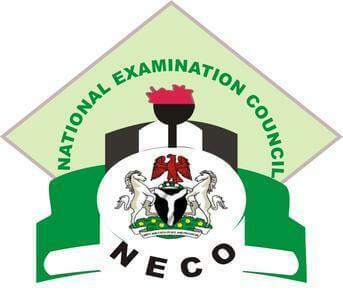 Verified NECO 2018 June/July Literature-In-English (prose) OBJ and Essay Answer and Solution to the questions.